While Ron Howard did not direct this Roger Corman production, it’s the film that got him the opportunity to move from the front of the camera to the rear. 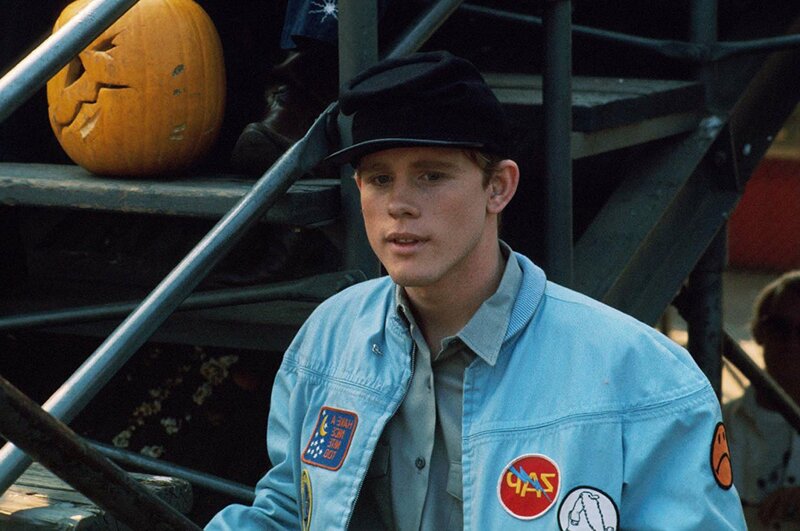 Howard was of course a well known television commodity having starred on The Andy Griffith Show for 8 seasons and was at this time entering his long run of Happy Days as Richie Cunningham. 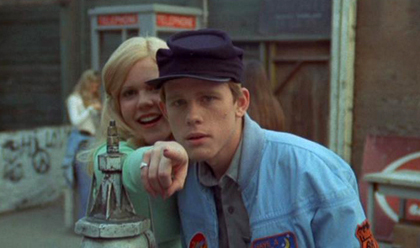 He’d also been in the 70’s hit American Graffiti for George Lucas. That fact gave Corman the producer just what he needed, a bit of clout at the box office to pull in younger viewers and turn a low budget special into a moneymaker. There isn’t much in the way of a plot in this drive-in fodder but what we do have is Howard as the son of a local small town sheriff. (cue the Mayberry remarks) Think of it as Opie spreading his wings and wanting a little excitement in the driver seat of a stock car and more than a bit in the back seat with a teasing blonde in skin tight short shorts played by Christopher Norris. Howard along with some of his teenage pals which does include his real life brother, Clint are hanging out at the stock car races where another TV “face” is the ruler of the track. It’s Dave Madden who to be honest I had to look up on line to get his name because to me he’s Reuben Kincaid from The Partridge Family and always will be. Little did I know until a bit of research that Madden is a Canadian, born in Sarnia, Ontario. Just up the road a couple hours from me. Aside from dreaming about racing a stock car, Howard is hoping to catch the eye of Miss Norris. Playing Howard along for the fool our beautiful blonde lets poor Ronny know he can take her for ride but only if he has the nerve to hijack Madden’s prized car with more horsepower than anyone else’s car in the county. And so begins the high speed chases played for laughs that populate the majority of the film to the strings of a bluegrass soundtrack and the comedy relief of a bungling police force minus Mayberry’s number one hero Barney Fife. In his place are a select group of dummies and scoring a co-starring role as one of them is Ron and Clint’s father Rance Howard making this a family affair under the New World Pictures banner. 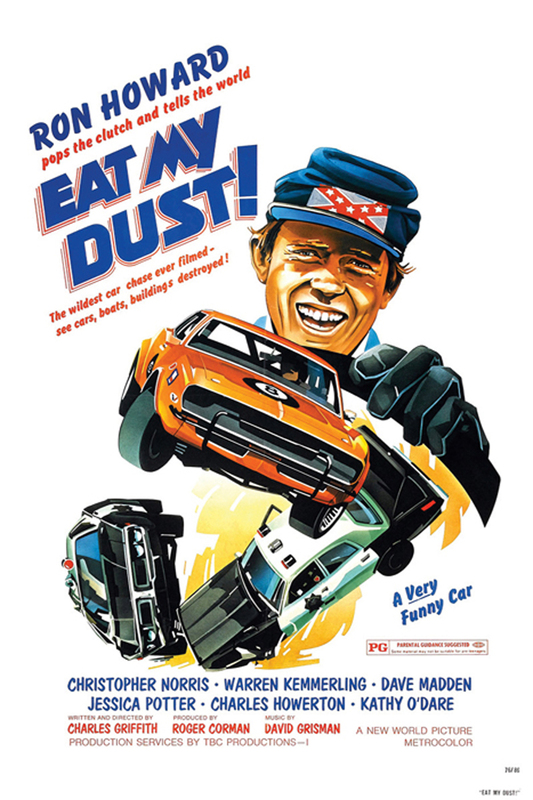 If I hadn’t seen the title card, “Directed by Charles B. Griffith” I might have thought this was an early effort from John Landis in the art of destroying cars as he was about to show us in mind numbing force not long after this feature with The Blues Brothers. Perhaps this flick served as an influential title on the young Landis. Mainly a screenwriter for producer Corman, Griffith penned the cult classic Death Race 2000 and The Little Shop of Horrors among others. The film morphs mainly into a chase film for the balance with Howard doing his best to keep his eye on the prize meaning Miss Norris and one step ahead of the cops. One could look at this as a tame, teen version of Bonnie and Clyde minus the violence and downbeat ending. I recall seeing this years ago on TV when my pals and I were caught up in the latest flicks to make their network premier on TV and what’s better than Richie Cunningham chasing a beautiful blonde and racing a hot rod all over the countryside. 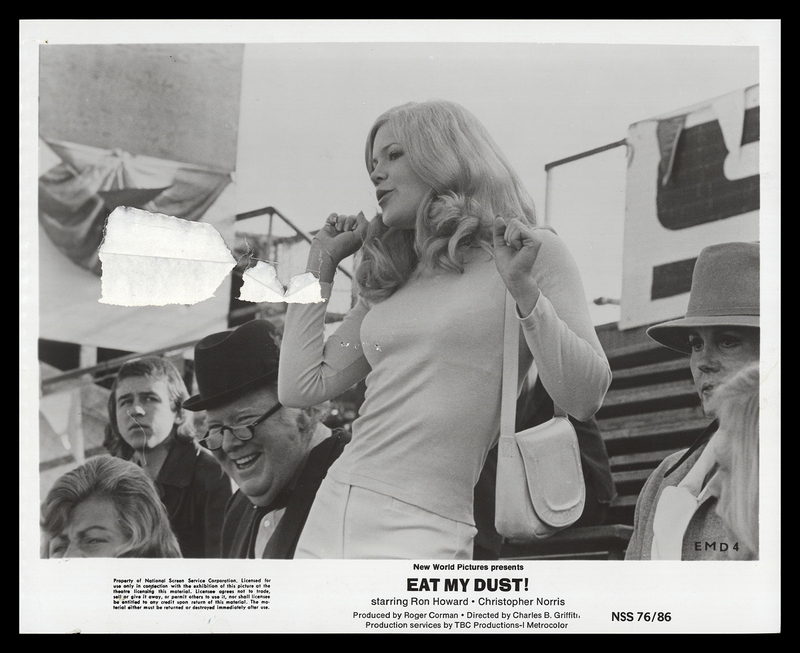 According to Howard, his signing on for this film with Corman was on a stipulation that he be given a chance to become a director. 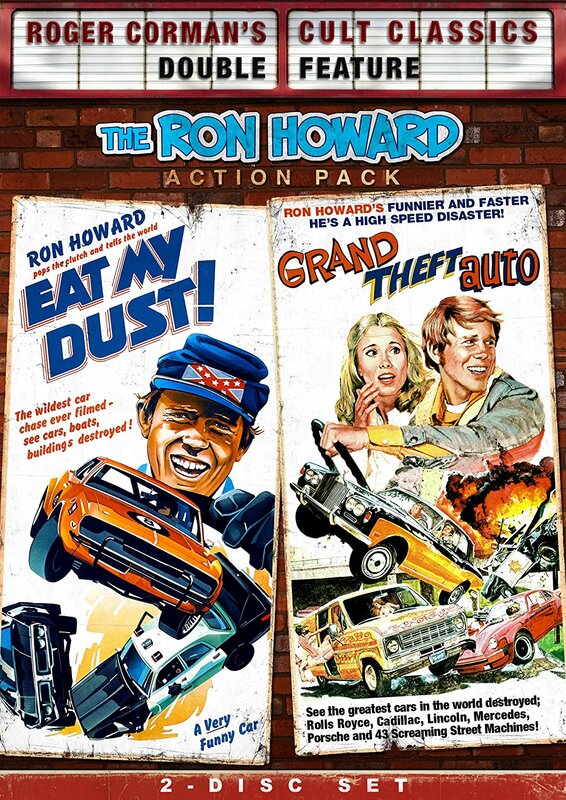 This would culminate in a follow up of sorts entitled Grand Theft Auto which saw Howard direct and star in a film for the only time in his award winning career. Howard has of course mainly stayed behind the camera for the bulk of his adult life aside from narration gigs. His credits include a long list of successes. Among them, Splash, Apollo 13 and A Beautiful Mind. I watched these two as rentals from my library a few years ago (and still have yet to review them), but I seem to remember liking ‘Grand Theft Auto’ more. Maybe because I liked Nancy Morgan’s character more than I did Christopher Norris’. And Dave Madden as a super-stud race car driver? Nope, didn’t work…like you, he’ll always be a Partridge to me. Reuben Kincaid for all time,….. lol. I have Grand Theft Auto here as part of that double disc feature so pretty soon I’ll get to it.